Everyone has experienced skunked beer. I remember spending most of my adolescence hating the European lagers my dad used to drink because they smelled so… off. For many, this is just an inevitable tasting note in their green-bottled beer. For others, it’s an unacceptable and avoidable consequence of improper beer storage. How beer skunks is simple — it’s exposed to light. Or to be specific, UV light, which interacts with the chemicals in the beers’ hops making it smell and taste skunky (you can read the full science behind it on BRU-V’s website here). To protect their beer from the effects of UV, most companies use amber glass for their bottles, mitigating the effects of light. Those that don’t use amber glass suffer the consequences, as any Stella Artois or Steamwhistle drinker will tell you. But beer stored in amber bottles must face one, seemingly insurmountable hurdle — the pint glass. That’s where BRU-V comes in, with their UV-resistant amber pint glasses. It may seem a bit far-fetched to the casual beer imbiber, but to the real hop-heads who are notoriously “fussy” over their beer, BRU-V offers a chance to preserve beer in its most potable state. After a century of drinking from clear pints, it takes a real visionary to try and re-invent the wheel. For Wood, the inspiration came from working at a brewery with an extremely fastidious brew-master who insisted on un-skunked beer, going as far as recommending Wood only drink beer stored in clear glass if he could pull it from an unopened box, and smuggle it to the cash register under his shirt. 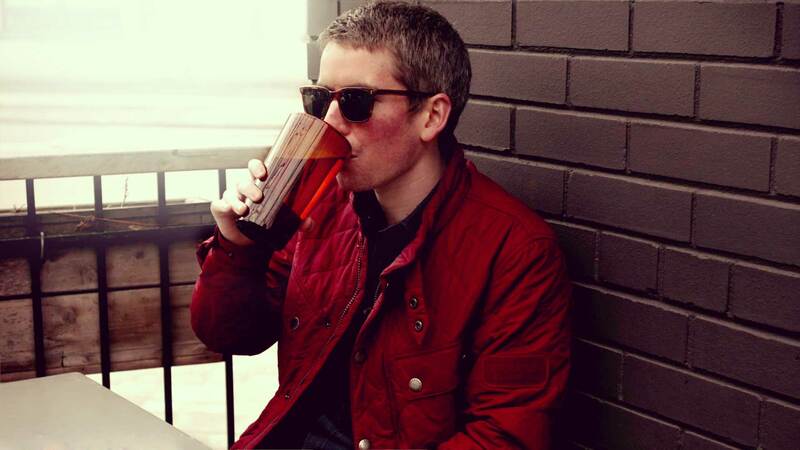 When Wood saw the lengths some people would go to save their beer, he sensed there was a market for UV resistant glasses — a theory quickly proven correct after he raised $36,000 in pre-sales for BRU-V on Kickstarter. 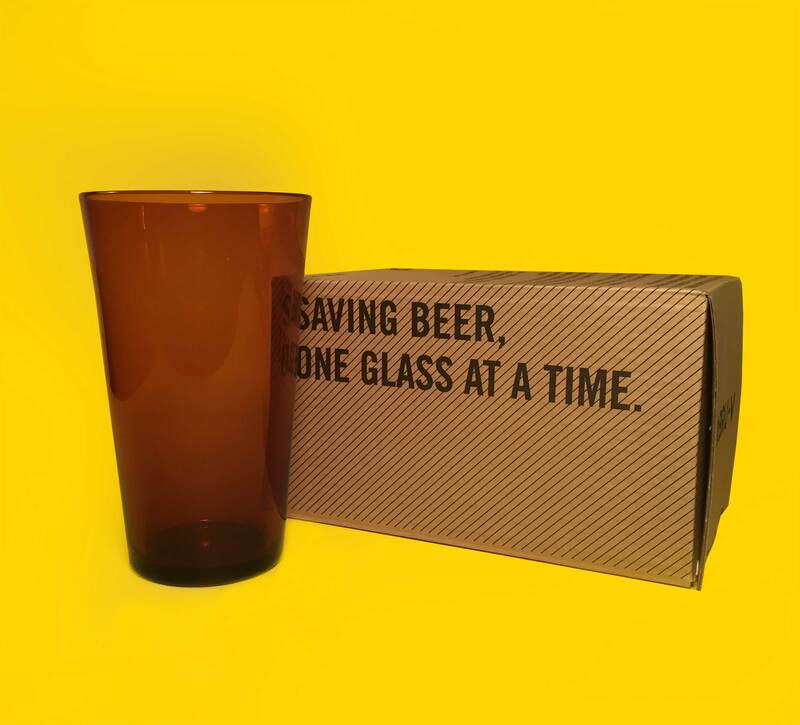 Right now, BRU-V offers a single type of beer glass, in the popular “shaker” style. Wood, however, envisions a much large product selection in the future. So what does someone who cares enough about saving beer to start his own company drink? If you’re someone who appreciates beer beyond your casual Bud swiller, BRU-V might be just the product to protect your beer. And with a range of glasses anticipated to match every type of beer, this is definitely a company you’re going to want to keep your eyes on, and a glass you’re going to want to sip slow from.